Device upgrades are so often a good-news-bad-news situation … and so was the case of my device’s upgrade to Android 4.2.2 over the weekend. I love this latest version of Android – in addition to just generally being a good update, it also has a sweet new camera and, some cool new clock/stopwatch/timer features. 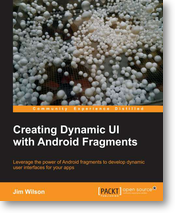 The new camera features are especially cool for me as I’m right in the midst of writing a new Android developer course Android Photo and Video Programming for Pluralsight. But like so many exciting weekend events, Monday often comes with regret … and so it was today. I fire up my favorite Android IDE (currently JetBrains IntelliJ IDEA), connect my device, then launch the debugger … and it’s then that I see “waiting for device” … I keep waiting, waiting, waiting. 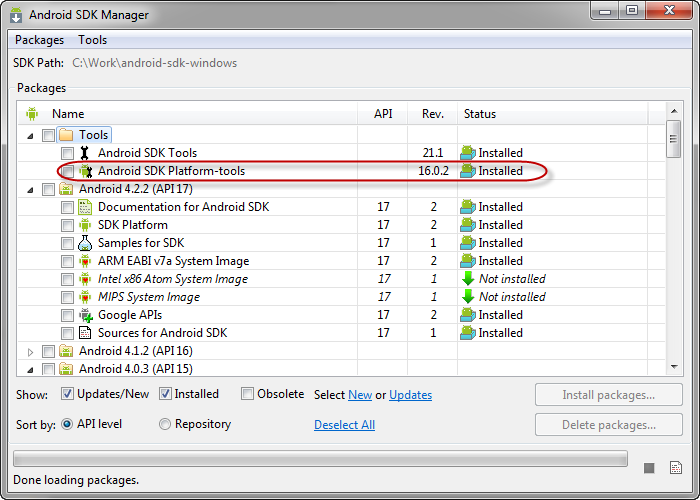 Just something to remember … you may have to run the SDK Manager more than once to get all of the latest updates. Only then did I get the necessary updates to resolve the offline issue so that I now see the much more familiar (and welcome) device message in ADB.